Saturday I was in a restaurant (TooJays) for breakfast - 2 egg whites, spinach, onions, feta cheese and coffee. Nothing else. Didn't even eat the fruit. Brought my own almond milk. The person I was with had toast and butter with her meal and I didn't have a need to stare at her food or drool. I saw the these little flying bugs and I said a silent thank you for their existence in that case at that moment. 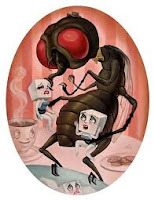 I know myself and now that I have seen those creatures buzzing on the food in that case I will never again pine, long or purchase anything from the bakery case at TooJays. 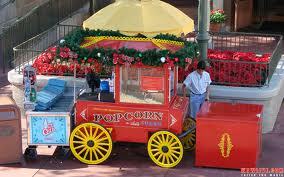 A similar thing once happened at Disney World with a popcorn cart. I was on line for a diet soda at the cart inside the entrance on Main Street one day when a bird flew into the cart, right into the bin portion where the corn lays after it pops. The bird got a bit panicky before finding its way out and while flapping its wings frantically, it defecated in the bin. After the cast member got the bird out of the case I said to her that everything in the case needed to be trashed and the case cleaned. She looked at me like I was crazy and said she would have to call a supervisor before she could stop selling the popcorn. That was seven years ago and I have not had a desire to eat popcorn at Disney World in all this time. Sometimes, when we need extra help, we can get by on a wing and a prayer. Even if the wings are attached to little icky creatures. If the spam is bothering you, but you don't want to go all the way to the security code thing, you can use the option that does not allow anonymous comments and that helps a little. I once entered a store, my husband was just behind me. A mouse ran between my feet and scurried out the door. I never saw him. My husband did. Have never been back there. Oldest just told me one that you will appreciate. He lives above a pub (1st floor) and restaurant (2nd floor); he is on 7th floor does not get noise. One night he glanced in bar window as he was headed up stairs. Bar had just closed, cockroaches were crawling over bar counter top. (Oldest's apt is sprayed once a month). He said that cured him of bar habit. Your son is braver than me. I have a three count. On the third roach, I move. The Anonymous garbage only started recently on my comments and was easy to manage until this week. Yes, anonymous will be banned as of today. Back 27 years ago when my business was custom cake decorating for clients such as the housing authority of NYC, I decorated a cake of a condemned building that included chocolate palmetto bugs holding up signs of protest. I am with your daughters. I detest the real things beyond reason, too!